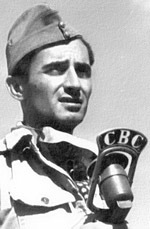 Stursberg was the first CBC correspondent to cover Canadian troops in action during World War II. Born in China on August, 31, 1913, he was educated in China by an English governess; in British Columbia, at Bedford School in England and in Montreal where he attended McGill University. He began his career in journalism as a reporter for the Victoria Daily Times from 1934 to 1938. He wrote for the Daily Herald in London, England (1938-1939), the Vancouver Province (1939-1940) and the CBC in Vancouver (1941-1943). He landed in Sicily in 1943 and covered the Italian campaign, reporting on battles at Ortona and Cassino, the capture of Rome, the invasion of Southern France, the liberation of Holland and the entry into Berlin. His broadcasts are in the National Archives. He was a roving correspondent in Europe, Africa and Asia from 1945 to 1950, a United Nations correspondent (1950-1956), an Ottawa editor for the Toronto Star (1956-1957), a research officer in the Prime Minister's Office (1957-1958), and a newscaster and commentator for CJOH and CTV (1960-1973). 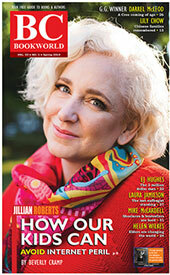 He was the editor for CTV's 'Question Period' in the early 1970s and the Ottawa correspondent for Newsweek (1959-1973). He was appointed adjunct professor in the Centre for Canadian Studies at Simon Fraser University in 1982, having returned to live in Vancouver in 1979 with his wife Jessamy, who he married in Paris in 1946. They have two children and four grandchildren. Peter Stursberg was named to the Order of Canada in 1996. Stursberg recreated the story of his family in China for No Foreign Bones in China. The title refers to the extreme actions of those loyal to the Red Guard during the Cultural Revolution when all things foreign were to be tossed out of China and that included digging up the bones of foreigners who were buried there. It traces the fortunes of Captain Samuel Lewis Shaw, a merchant seaman, who arrived in China in the 1830s. He settled in Foochow and married a Japanese woman, Peter Stursberg's grandmother, to whom the book is dedicated. The Shaw children grew up in Pagoda Anchorage, the heart of the Chinese tea trade. The title refers to the fury of the Chinese over the Korean War. They expelled all foreigners and even dug up their bones, including the bones of Stursberg's grandfather and grandmother. [Alan Twigg / BCBW 2011] "Journalism" "War" "Missionaries"
In his foreword, Stursberg notes that almost half the Canadian army was in Italy. The First Canadian Army was split in two, with the First Corps sent to Italy. Its final accomplishment was the liberation of Holland.